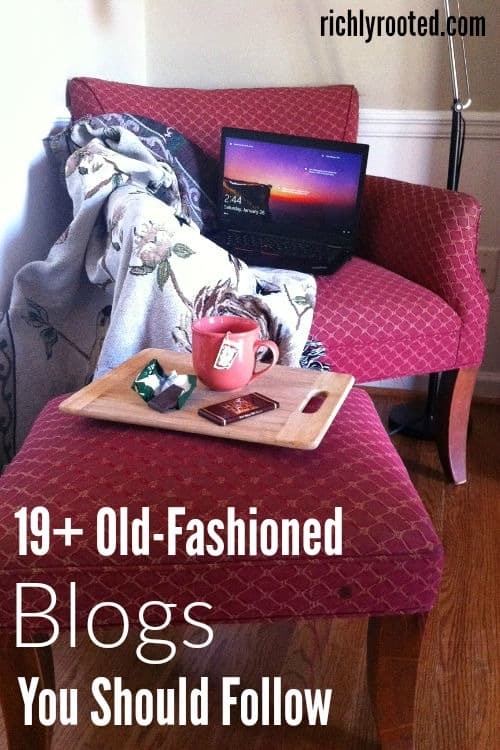 Old-fashioned blogs are alive and well…you just have to know where to look! In spite of social media and other forms of content like podcasting and video, it’s clear that people still love reading blogs. 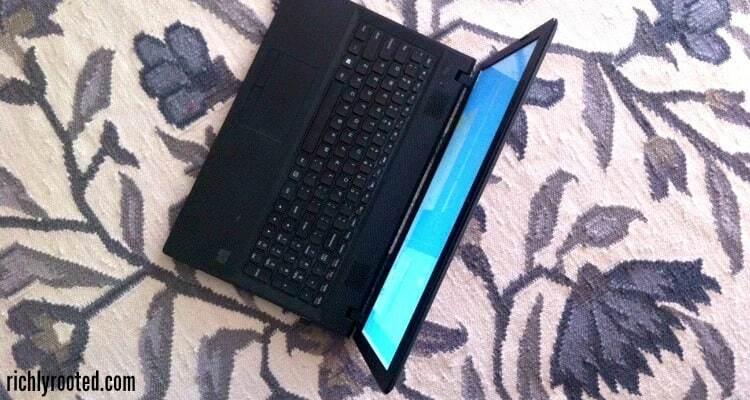 Here’s a list of blogs that follow an old-school approach. Curl up with your favourite hot drink and enjoy getting lost in blogland again! Years ago, it became a Sunday afternoon tradition for me to grab a blanket, my laptop, a cup of Nescafe, and a snack. Then I’d visit my favourite blogs to see what was new, and pour over the archives to find posts that pre-dated my readership. I loved being able to read what were essentially really good magazines–without having to pay for subscriptions! So much has changed in the blogging world over the past decade, and not all of it for the best. But in spite of people prophesying the “death of blogging” (as people do every single year), there are still thousands of good, old-fashioned blogs that are quietly thriving. And there are thousands of people who still want to read them. Of course, there’s a lot of clutter on the internet, and sometimes it’s hard to find bloggers that follow an old-school approach. So today I’m sharing my list of go-to places to find good reading material. I’ll probably add to this; there are some other excellent sites I could’ve included and will want to add later! There’s a range of topics covered here, from old-fashioned homemaking blogs, to simple living blogs, to anything-goes lifestyle blogs. Enjoy finding some new great reads, and be encouraged that the lost art of old-fashioned blogging is making a comeback! Note: Naturally, while I recommend the sites below I can’t vouch for everything included in them. They don’t all perfectly reflect my views or values. I’m sure you understand. A Cup of Jo – This lifestyle blog covers a broad range of topics–travel, culture, style, motherhood, and more–and has an extensive archive. I love that the posts are positive and non-snarky. It seems that many of the “mega” blogs have achieved fame by being crass or cynical, but this one stands out for its graciousness. Bekah Bee – Bekah has a knack for style. She has lovely blog posts that show how she’s styled her home, and helpful reviews on green beauty products. We met at the Haven conference a couple of years ago! Blair Blogs – Blair writes from a small town about simple living and contentment. She posts on all kinds of topics through this lens, from relationships to beauty to holidays. Carrots for Michaelmas – Here you’ll find musings on books, family homesteading, and liturgical living. I love that Haley’s writing is intelligent but accessible, her photographs artistic yet down to earth. Delightful Repast – Delightful Repast is an old-fashioned recipe blog that I’ve been following for years. Embracing a Simpler Life – You should definitely check out Katie Bennett’s site if you like mine, as we have a similar outlook on many things. She hasn’t written much lately since she just had a baby, but there are plenty of lovely posts in the archives to enjoy! Fulfilled for Less – If you want a good finance/budgeting blog, I recommend this one. Sandie writes from personal experience about working towards financial freedom–not as a means to “get rich quick,” but to practice stewardship of a good and simple life. Gigi Photography – I “discovered” this blog after the author left a comment on one of my own blog posts! I was instantly drawn in by her photography and how it’s mingled with reflective posts on daily life and home. Graceful Little Honey Bee – You’ll find lots of down-home recipes here, as well as craft tutorials and frugal living tips. It’s a great mix! Jessie Clemence – Jessie writes about caring for your family, home, and soul. I love her perspective on finding contentment and joy. Also, she happens to live in one of my favourite corners of the world–southwest Michigan! Modern Mrs. Darcy – MMD is a lifestyle blog with a heavy focus on books and reading. I love that although her site has a huge readership, Anne Bogel keeps it feeling cozy and personal. She updates the blog frequently so I don’t get to every post, but it’s always nice to find fresh reading material whenever I do click over! Nourishing Simplicity – This is a healthy living blog with a focus on simplicity and homespun comforts. I’ve known Katie Mae for years, and we even got to be roommates at a blogging conference once! Passionate Homemaking – This amazing blogger just started writing again after a long break, and I’m ecstatic! Passionate Homemaking is my original favourite old-fashioned blog! 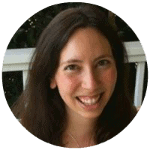 Red and Honey – Beth is another author with a broad range of topics, but probably especially health and wellness. One of my favourite things about her site is her voice. Her conversational posts are engaging and personality driven. 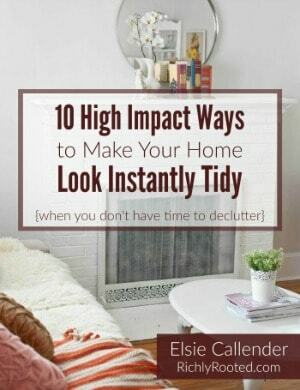 Sallie Borrink – Sallie writes on a number of topics, but my favourite posts are the ones on cozy living. Throughout her blog, her tone is conversational and her posts are thoughtful and genuinely helpful. SMALLish – This simple living blog is gold! Evelyn has some excellent posts on intentional, “small” living, and I resonate with so much of what she writes. The Art of Simple – Tsh Oxenreider has always run this site with integrity and insight. There are many contributor and guest posts included, but I’ve always found them to be great quality and to mesh with the blog’s theme and tone. This Pilgrim Life – Lisa’s blog is a pleasant mix of informational posts (like kids’ crafts or Instant Pot recipes) and personal posts (like photo tours of how she’s organized different spaces in her home). Unfancy – This is one of the very few fashion/style blogs I follow. I love that it is so peaceful and unpretentious. Caroline’s posts are short but always have a takeaway…usually one I can incorporate into my own wardrobe or habits. What are the blogs you look forward to reading? Do you have a blog of your own? Leave a link in the comments so we can come visit you! Wow. Thanks for sharing. I am looking forward to visiting each of them. I am only familiar with one of them. I am so looking forward to visiting these blogs…several of them are old favorites of mine as well. I’d love for you to come visit my blog, Ponderings from the Inglenook. (ponderingsfromtheinglenook.blogspot.com) I’m definitely an old-fashioned blogger and have been writing for 6 years now (almost two at my current blog). Thanks for sharing these gems! Enjoy these blogs! I’m sure I’ve visited your site before…it looks very familiar to me! And it is lovely! Maybe you’ve commented on another of my posts and I must’ve clicked over…or if you’re a reader of Tea and Ink? Anyway, thank you for reminding me about your site! Good, good, good! Enjoy them with a cup of tea or coffee and cake! Thank you for including me Elsie! You included most of my old favourites. I am so thrilled for Passtionate Homemaking to be back as well! 🙂 Lindsey’s site is who led me to most of the ones I still follow today. I love her site, and even found you through her because of a guest post you did! Awe. I remember you saying that! I still remember being so giddy to write for her that one time. I can’t remember how I came across you, maybe the cookbook that you wrote with Jamie and Jami? Maybe so! It has been so long now! Especially long in blogging years! You’re welcome! I hope your blogging endeavours go well this year! Keep up the good work you are doing! Elsie, imagine my surprise when I was doing my blog visiting and found you had included Delightful Repast in this post! How dear of you! I see some of my favorites on this list and many I didn’t know about–I’m so excited to visit them and get acquainted. Your blog is a delight every time I visit it! I’ve heard of some of these blogs but I’m delighted with many new ones to discover. Richly Rooted would definitely be on my list. Thank you for making blog reading so enjoyable! I’m so glad we got to meet at Haven! I love checking to see if you have new posts! Hope you enjoy the new reading material! You’re welcome! With all the people who have stopped blogging over the years, I’m so glad Red + Honey has endured!